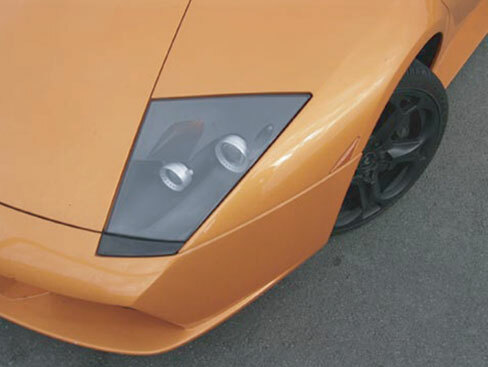 The phrase Kleenex Mathematics is taken from email spam, one of thousands that Cologne based artist Johannes Wohnseifer has recently collected. The artist transcribed the text of these emails directly and unedited, onto a series of paintings, and for this exhibition, a series of diaristic photographs taken in the past year. Wohnseifer is known for recent work that combines disparate pairings of historical events and cultural objects, and that result in creative hybrids of contemporary history. Recent projects include a model of Mies van der Rohe’s Barcelona Pavilion imagined as a McDonald's Restaurant, and a puppet show that pairs the film Taxi Driver and the attempted assassination of President Reagan, with marionettes resembling Jodi Foster, Ronald Reagan, John Hinckley and Robert de Niro. Wohnseifer’s exhibition is drawn from a larger body of photographs published in the second issue of Presentation House Gallery’s ongoing series Lynn Valley. 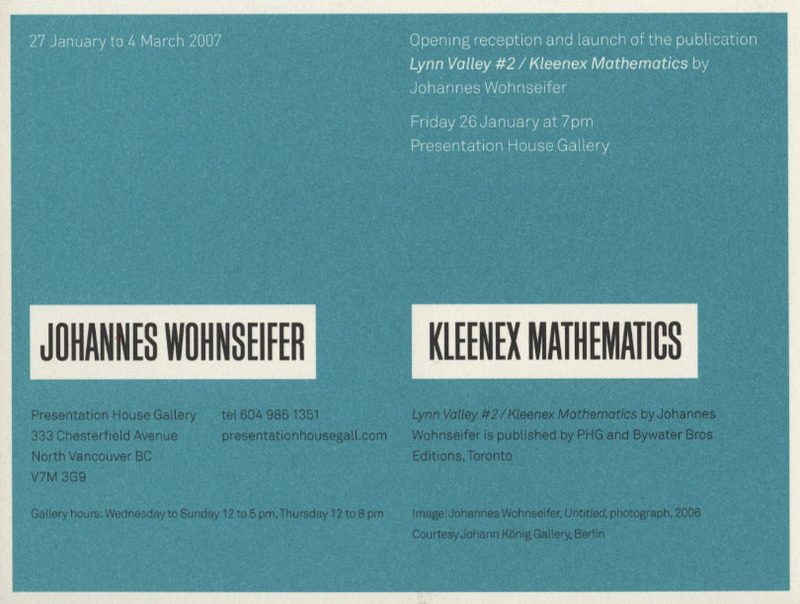 In conjunction with co- publisher Bywater Bros Editions, Lynn Valley 2, Kleenex Mathematics will be launched at the exhibition opening. Kleenex Mathematics / Lynn Valley 2 expands on Cologne based artist Johannes Wohnseifer’s recent explorations with spam email. 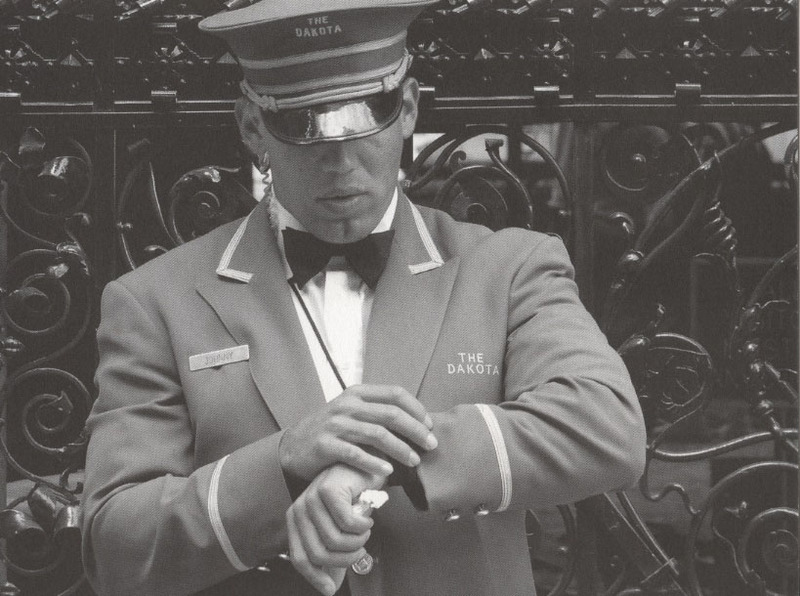 Working with a series of diaristic photographs taken in the past two years, Wohnseifer has overlain unedited spam texts, creating collages of word and image that blend autobiographic detail, historical allusion and dense visual puns with the found poetics of strategically designed, nonsensical language.